Pięknie wystartował, pytanie, która to sytuacja, kiedy do stacji kosmicznej jednocześnie zmierzają 2 statki zaopatrzeniowe? EDIT: Jego uchwycenie i przyłączenie do ISS wykonane zostało 19.11.2018 o 10:28/13:31. Drugi lot logistyczny rozpoczął się z kosmodromu Wallops 17 listopada o 10:01 CET. Rakieta nośna Antares 230 wyniosła pojazd logistyczny Cygnus NG-10. Pojazd został również ochrzczony SS John Young, na cześć amerykańskiego astronauty, m.in. weterana misji księżycowych Apollo 10 i Apollo 16. John Young zmarł w styczniu 2018 roku. Cygnus został przechwycony przez ramię robotyczne stacji 18 listopada i przyłączony do dolnego węzła modułu Unity. Pojazd dostarczył 3350 kg ładunku, z czego aż 1044 kg to eksperymenty naukowe. Po zakończeniu misji od Cygnusa zostaną odłączony trzy CubeSaty: edukacyjny MYSAT 1, radioamatorski KickSat 2 oraz komunikacyjny ChefSAT 2.
by Jeff Foust — November 17, 2018 Updated 7 a.m. Eastern. WASHINGTON — Northrop Grumman successfully launched a Cygnus cargo spacecraft to the International Space Station Nov. 17 after two days of weather delays. The Northrop Grumman Antares rocket lifted off from the Mid-Atlantic Regional Spaceport at Wallops Island, Virginia, at 4:01 a.m. Eastern. It placed the Cygnus spacecraft into orbit nine minutes later. The launch of the spacecraft was scheduled for Nov. 15 but delayed two consecutive days by weather conditions at the launch site. With the Cygnus now in orbit, it is set to arrive at and berth with the ISS early Nov. 19, one day after the docking of a Progress cargo spacecraft launched by Russia Nov. 16. “The spacecraft is extremely healthy and it’s ready to begin its trek to the ISS,” said Frank DeMauro, vice president of the advanced programs division at Northrop Grumman, during a post-launch briefing. The Cygnus spacecraft, called S.S. John Young by the company after the late astronaut, is carrying 3,350 kilograms of cargo for the station. That includes approximately 1,140 kilograms of crew supplies, 1,040 kilograms of science payloads, 940 kilograms of vehicle hardware, 115 kilograms of computer resources and 31 kilograms of spacewalk equipment. The spacecraft is also carrying 77 kilograms of unpressured cargo in the form of a cubesat deployer from NanoRacks that will be used after the Cygnus departs the station. While NASA officials said that they did not adjust the science payload on the mission as a result of last month’s Soyuz MS-10 launch abort, there were changes to other cargo on the spacecraft. Joel Montalbano, NASA deputy manager for the ISS program, said at a pre-launch briefing Nov. 14 that medical hardware that was to be transported to the station on the Soyuz will instead go on the Cygnus, along with some spacesuit hardware and life support equipment. 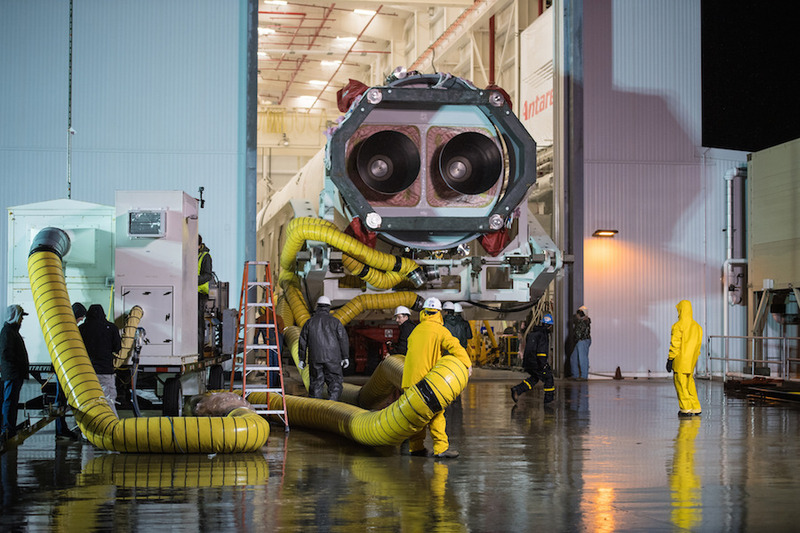 “We were able to work with our Northrop Grumman team” on getting that extra hardware on the Cygnus, he said, calling them “extremely flexible” by allowing NASA to include that hardware after the usual deadlines for adding cargo to such missions. “So, without missing a beat we continue to work on the International Space Station and are moving forward,” he said. The Cygnus is scheduled to remain on the ISS until February. Until then the station will also see the arrival of the Soyuz MS-11 crewed spacecraft, scheduled for launch Dec. 3, and a SpaceX Dragon cargo mission slated for launch no earlier than Dec. 4. The Soyuz MS-09 spacecraft currently at the station will depart Dec. 20, returning three ISS crewmembers to Earth. Montalbano said the uncrewed test flight of SpaceX’s Crew Dragon commercial crew spacecraft is currently scheduled for launch in early January. Nieco ponad 3 godziny pozostały do przechwycenia SS John Young przez ramię robotyczne ISS. Połączenie z ISS zbiegnie się z 35. rocznicą ostatniego lotu Johna w kosmos. A Northrop Grumman Cygnus supply ship carrying more than 7,200 pounds of provisions and experiments is approaching the International Space Station two days after its launch from Virginia, due for capture by the station’s robotic arm at 5:20 a.m. EST (1020 GMT) Monday. Astronaut Serena Auñón-Chancellor will take control of the station's robotic arm to grapple the Cygnus spacecraft when it maneuvers to a hold position around 30 feet (10 meters) below the complex. Ground controllers will then command the arm to place Cygnus on the Earth-facing port of the Unity module, where a series of bolts will drive closed to connect the cargo craft to the space station for a nearly three-month stay. Nagranie ze zbliżania i przechwycenia transportowca. Cygnus odcumował od ISS. Jakie są plany na kolejne kilka dni prac Cygnusa na orbicie zanim spłonie w atmosferze? Może byłoby go widać na Polskim niebie, ale niestety pogoda nie sprzyja. Czyli przynajmniej do 14 lutego Cygnus będzie fruwać nam nad głowami. 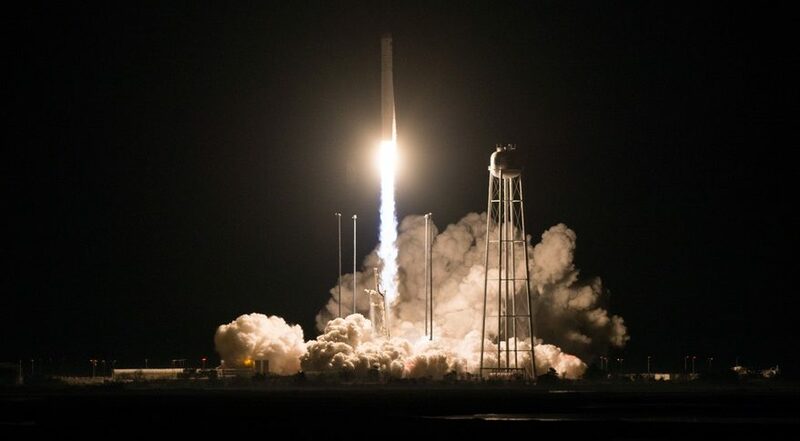 Dulles, Va. – Feb. 25, 2019 – Northrop Grumman Corporation (NYSE: NOC) announced that the company successfully completed its 10th cargo supply mission to the International Space Station under NASA’s Commercial Resupply Services (CRS-1) contract. After departure, the extended mission included the deployment of three CubeSats via the NanoRacks External Cygnus Deployer at two different altitudes and two CubeSats from the Slingshot CubeSat Deployer System. Slingshot, a new commercial customer for Cygnus, is a flexible platform that can fly hosted payloads and CubeSats. The spacecraft also operated a commercial powered payload for another new customer, UbiquitiLink, Inc. These innovative uses of Cygnus beyond the primary mission demonstrate expanded commercial opportunities enabled by partnerships built through the space station. The mission officially concluded on Feb. 25 at 4:05 a.m. EST when Cygnus performed a safe, destructive re-entry into the Earth’s atmosphere over the Pacific Ocean east of New Zealand. The mission began Nov. 17, 2018, when Cygnus launched aboard a Northrop Grumman Antares™ rocket from NASA Wallops Flight Facility in Virginia. Upon arrival at the orbiting laboratory, Cygnus delivered approximately 7,400 pounds (3,350 kilograms) of cargo, supplies and scientific experiments to the astronauts. It remained docked for 81 days at the orbiting laboratory before departing the space station on Feb. 8. 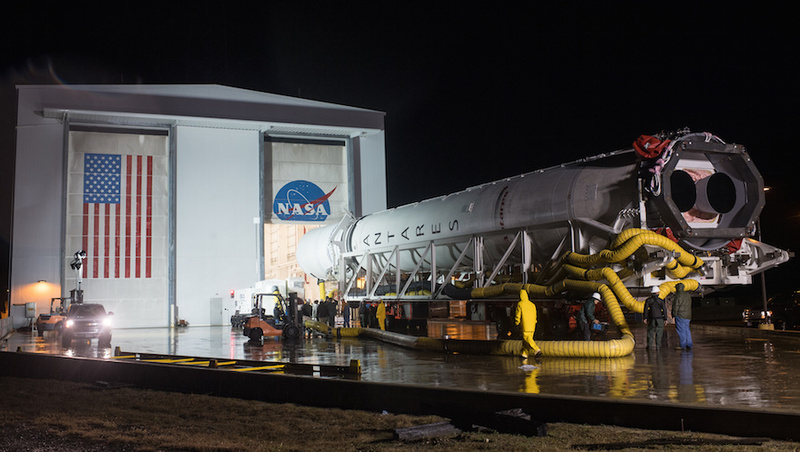 The next Cygnus launch, known as the NG-11 mission, is currently scheduled in mid-April. This will be the final mission under Northrop Grumman’s CRS-1 contract with NASA before starting the CRS-2 contract missions in the fall of 2019. Strona wygenerowana w 0.089 sekund z 26 zapytaniami.